Stories that were once in Latest News but still have relevance are listed here. There are dozens of stories here and they all relate to ANTON BRUCKNER. UPDATED: Bruckner in "Ripley's Believe It or Not!" Benjamin Korstvedt identifies a document relating to the early history of Bruckner's Symphony No. 4. The 2015 Bruckner Tour of Austria - Check out the daily reports and photos! Is Bruckner an Orchestral Player's Nightmare? Handwritten Part of Bruckner's Sixth Re-discovered by Benjamin-Gunnar Cohrs. "South German Philharmonic" Bruckner 5th performers are identified! Universal and Daniel Barenboim partner for digital-only label - Bruckner in the first release! A Bruckner Death Mask for sale??? Fritz Reiner's Bruckner - Part of a recording found! 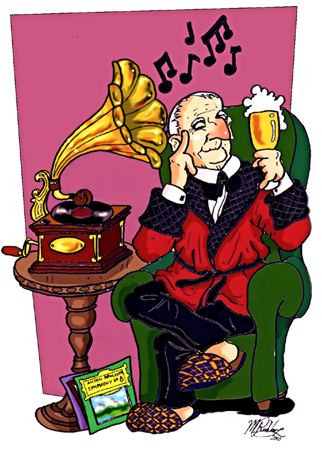 Norman Lebrecht's Blog: Bruckner's losing money - NOT!!! Buyer Beware: Unusual boxed set is just a reissue! Chamber and Jazz editions of the Bruckner Symphonies: A new project begins. Bruckner makes it to JEOPARDY! Gerd Schaller's Finale Completion to the Symphony No. 9 is published. Gerd Schaller's Recording of the 1890 "Schalk Edition" of the Symphony No. 3 is released. Postcards of Old Masters - Getting it WRONG! Wilhelm Klitsch and "Der Musikant Gott"
Paul Hawkshaw receives Fulbright Scholarship to continue his Bruckner studies in Vienna. Anton Bruckner transcriptions for guitar! Four Volume Bruckner biography being offered in South Korea. The first volume of the New Bruckner Edition is released. A report from the 2016 BrucknerTage Festival - Plus a photo gallery from the trip! William Carragan offers his Bruckner 9 Finale completion in arrangements for two pianos and for organ. A Children's concert with Bruckner ?! Facsimile of Bruckner's Study Book now Available for Sale! Abruckner.com Receives its Commemorative Plaque!! Defective Profil CD of Karl Boehm 78 transfers is repaired! Abruckner.com makes the BIG TIME!! 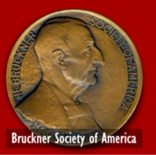 Need a lifesize Bruckner in you home? Try this!! A Bruckner Ninth Finale like you have never SEEN it! A Bruckner Symphony in the Dominican Republic! Blowing our own Wagner Tuba! Need to find a way to spend your money? Bruckner in an Arby's ad? Watch here!! 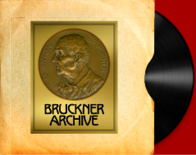 Bruckner 7th used in video game "Call of Duty"
Abruckner.com and "The Bruckner Archive"
Silent Film DVD uses Bruckner 2nd as Soundtrack! A Bruckner Serenade by the Tokyo Sinfonia - CDs and Scores available! Bruckner Posters, Tee Shirts, etc.